Pre-register online for a show. It’ll get you in faster, and in some cases, enter you to win prizes during the event. Create a “wedding email” account with a free web service. Dedicate this to all your wedding-related emails to stay organized. Print out labels with your wedding date, name, address, phone #, and email (wedding email). These will enable you to quickly register for door prizes. 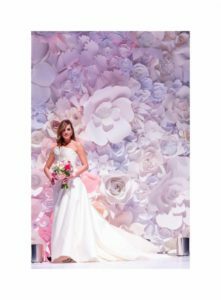 Capture the experience – Bridal shows are designed to help you become familiar with wedding services as well as the latest trends. Have your camera phone handy to take lots of pictures. Note: Your preprinted labels will make registering for more information, appointments, and giveaways a snap! Bring a check book or credit card as you may want to lock in your favorite vendor with a deposit. Be comfortable – You can spend hours at a show so wear comfortable shoes and keep some change handy for a concession snack or (at some events) even a cash bar. Stop by the Hampton Roads Wedding Guide booth for your free issue of the Wedding Guide. Be sure to register for our drawing of $2,000 in gift certificates for your wedding.Have fun, enjoy and happy planning!